Wow! 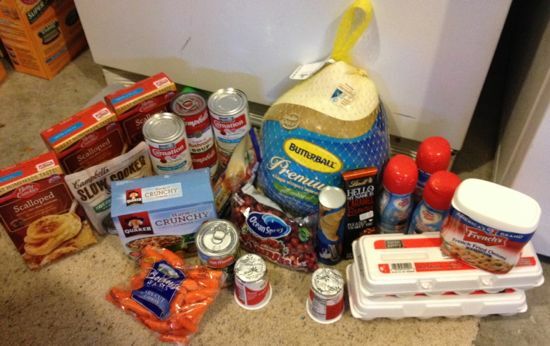 Nicole was able to work some coupon magic and get all of these items above for only $11.14. This is a great week to do your grocery shopping at Target because of the $10 off $50 Target food and beverage coupon. You can use this coupon before all other manufacturer and Target coupons, so it’s possible to pay less than $40 and Nicole’s trip is proof. Once everything was subtracted she paid only $11.14. Pretty cool if you ask me! Where is “$3 off Butterball turkey when buying four additional items” from? I paid 4.22 for $52 worth! What is the target bag coupon?? I would assume the bag coupon is the .05 you get for bringing your own bag.